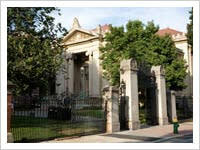 Providence is known as an epicenter of higher education, with eight college and university campuses located in the city. This concentration of faculty and students adds energy to the city and makes an enduring impact on the creative and intellectual landscape of the community. Brown University is a leading Ivy League institution with a distinctive undergraduate academic program, a world-class faculty, outstanding graduate and medical students, and a tradition of innovative and rigorous multidisciplinary study. Founded in 1764 in Warren, RI, Brown moved to Providence&apos;s East Side in 1770 and has been a dynamic force in the community ever since. Notable alumni include John F. Kennedy, Jr. and actress Laura Linney. Johnson & Wales University (J&W) offers its students a unique blend of hands-on experience and classic academic instruction. The Downcity Campus, in the heart of the downtown area, houses The Hospitality College and the College of Business, while the Harborside Campus, on the edge of the city, is home to the College of Culinary Arts. J&W was founded in 1914 by two women - Gertrude Johnson and Mary Wales - and continues to leave its mark on the city, most notably through its impact on the critically acclaimed restaurant scene. Notable alumni include celebrity chefs Emeril Lagasse and Tyler Florence. 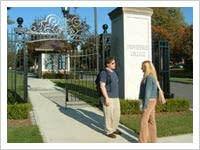 Providence College (PC) is primarily an undergraduate, liberal arts, Catholic institution of higher education. Nationally recognized for its academic programs, PC is also known for its Division I sports program which has included several nationally ranked men&apos;s and women&apos;s basketball teams. Founded in 1917, PC makes its home in the city&apos;s North End. 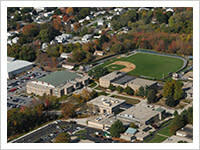 Notable alumni include NBA Hall of Fame Player and Coach Lenny Wilkins and NBC News Correspondent Mike Leonard. 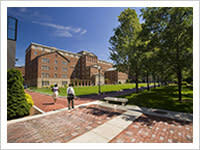 Part of Providence&apos;s Mount Pleasant neighborhood, Rhode Island College (RIC) is a public institution of higher education whose primary mission is to offer a quality, affordable education to all Rhode Islanders. 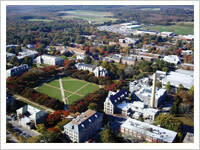 Founded in 1854, RIC offers programs in the liberal arts and sciences and in a variety of professional fields. Its performing arts program is highly regarded and draws large audiences to its theater productions. Notable alumni include award-winning actress Viola Davis and Congressman James Langevin. 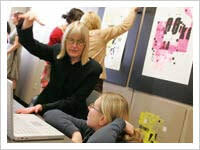 The Rhode Island School of Design (RISD, pronounce riz-dee) is one of the country&apos;s leading visual arts, design, architecture and art education institutions. Founded in 1877, RISD is an eclectic community of artists and designers that includes 2,200 students from around the world, approximately 350 faculty and curators, and 400 staff members. Notable alumni include film director Gus Van Sant and "Family Guy" creator Seth MacFarlane. The University of Rhode Island has a vibrant Providence Campus located in the heart of downtown Providence. The campus houses the College of Continuing Education, which offers nine undergraduate degree and seven graduate level programs, as well as multiple certificate programs. The campus is also home to an award-winning Child Development Center and the Urban Arts and Culture program, which is a member of Gallery Night.